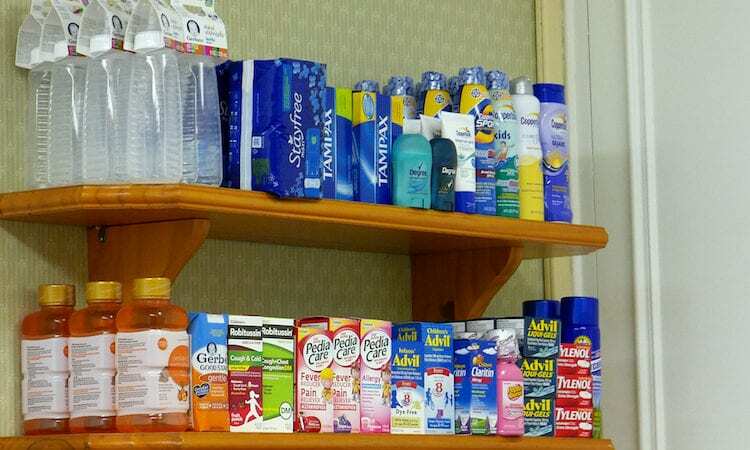 Items for Purchase at First Aid Stations. Photo credit: Rachel Horsley. 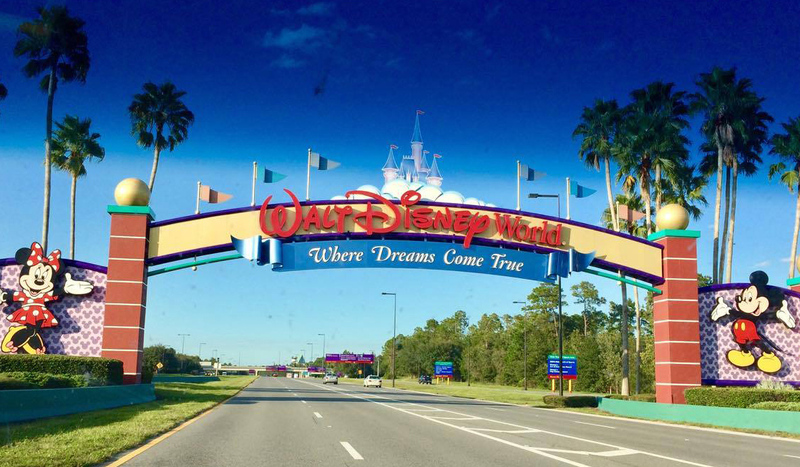 Walt Disney World is referred to as “The Most Magical Place on Earth,” but let’s face it, sometimes things happen making the trip, well, less than magical. 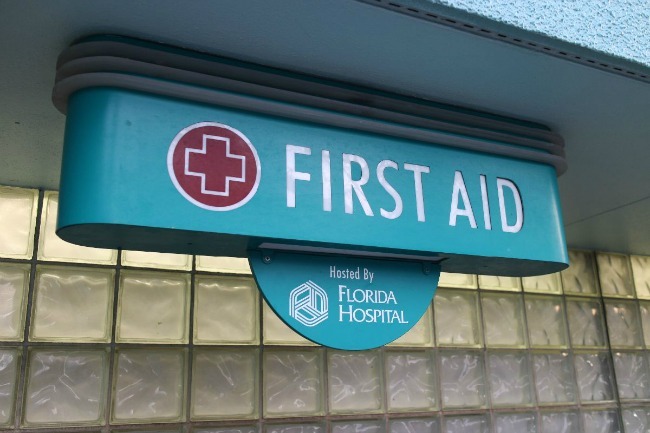 Did you know the First Aid Stations located throughout the Walt Disney World parks are not just for band-aids and boo-boos? Familiarize yourself with the services offered in the First Aid Stations so the next time you’re sick on vacation you’ll know where to go. 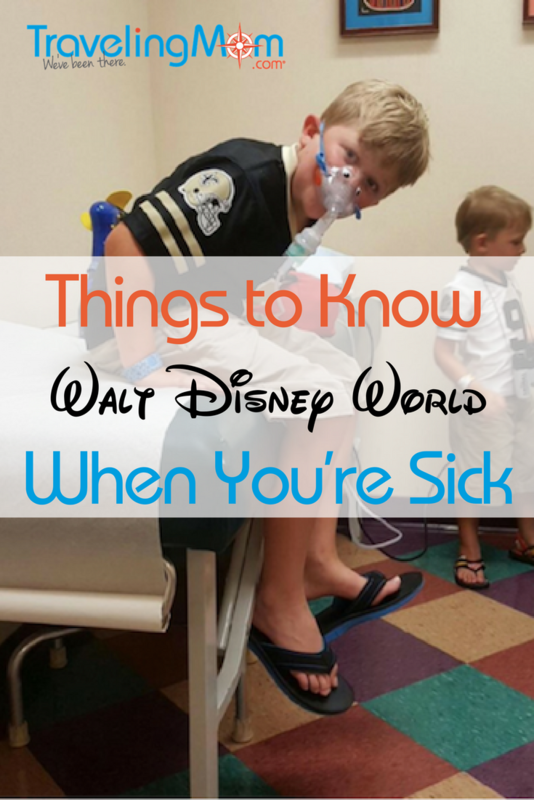 Gulf Coast TravelingMom has the scoop in Sick at Disney World? What You Need to Know. My husband surprised me one year with a trip to Walt Disney World for my birthday, sans children. This was a bucket list item for me. Sadly, I woke up the morning of my birthday sick with a cold. Clearly, this was karma for coming to Disney without the kids. I didn’t pack any cold medicine. Doesn’t the figure? I went to the resort gift shop and paid a ridiculous price for medicine and cough drops. Little did I know at that time, I could have visited Disney World First Aid and received the same thing for free. Anytime you are feeling under the weather, stop by a Disney World First Aid Station. Ask if they have anything that can ease your pain. Whether you need Tylenol, an antacid, or even contact solution, the First Aid Station is there to provide assistance at no cost to you. Animal Kingdom’s First Aid Station. Photo Credit: Caroline Knowles Gulf Coast TravelingMom. Fever – If you think you or your child has a fever, stop by and double check. Thermometer strips are available to take an infant’s temperature. If you need a place to lie down, there is an area in the back with beds. If your child is sick, you also have the option of consoling them in a rocking chair. Should your condition warrant treatment by a physician, the nurse will provide you with a list of urgent care centers in the area. Common Cold – First Aid offers samples of cold medicine, cough drops, and packets of tissues. Headaches – Headache treatments include samples of Tylenol/Ibuprofen, Powerade (to help with dehydration), damp cloths, and best of all, air conditioning. As a chronic migraine sufferer, I have taken solace in First Aid several times. 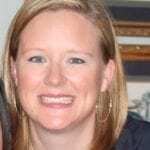 Insect Bite / Allergic Reactions – All First Stations are equipped with EpiPens. Upset Stomachs – We all know vacation typically means food, food and more food. If you are experiencing indigestion, food poisoning, or symptoms of a stomach bug, it is always a good idea to stop in and see the nurse. Nausea – Nausea doesn’t always mean you are sick. On a recent trip, I became extremely nauseated after riding Flight of Passage. Motion sickness sufferer here. We moved over to Magic Kingdom for Mickey’s Not So Scary Halloween Party immediately after and the nausea was so bad I couldn’t stand up. I went straight to First Aid and they led me to the back room, that is set up a lot like an emergency room. I was able to lie down in a private (curtained off) room for an hour until the nausea subsided. Eye Irritation – Should anything ever get into your eyes, sunscreen included, stop by First Aid, and they will assist in flushing your eyes. If your eyes are dry, you can also get contact solution here. 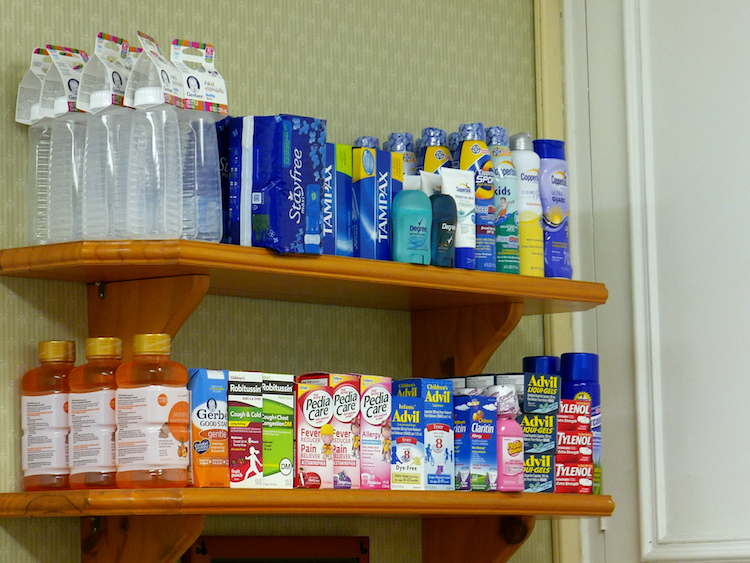 Cuts / Blisters – Band-Aids and bandages are stocked in all stations. TravelingMom Tip: First Aid Stations do not have blister packs. I recommend packing several Band-Aid Advanced Healing Blister Cushions in your day bag to help treat the inevitable foot blisters. Simple Band-Aids do not work as well. Items available for purchase at First Aid Stations at Walt Disney World. Photo Credit: Rachel Horsley. All First Aid Stations will store refrigerated medication for guests. If you plan to spend the day in the park and need to access your refrigerated medication, simply stop by First Aid as you enter the park. This saves a lot of time from having to navigate back to your resort to get to your medication. Are you diabetic or do you have another condition requiring daily injections? These injections can be administered at any First Aid location. Special containers for disposal of hypodermic needles are provided. Do you have asthma or require breathing treatments? Take your nebulizer to First Aid, and use their facilities for a quiet, air-conditioned environment to administer your medication. Magic Kingdom, located between The Crystal Palace and Casey’s Corner, near the restrooms heading towards Adventureland. Hollywood Studios, located in the Guest Relations building on Hollywood Boulevard (at the front entrance). Typhoon Lagoon, located just behind Leaning Palms. Blizzard Beach, located beside Lottawatta Lodge. 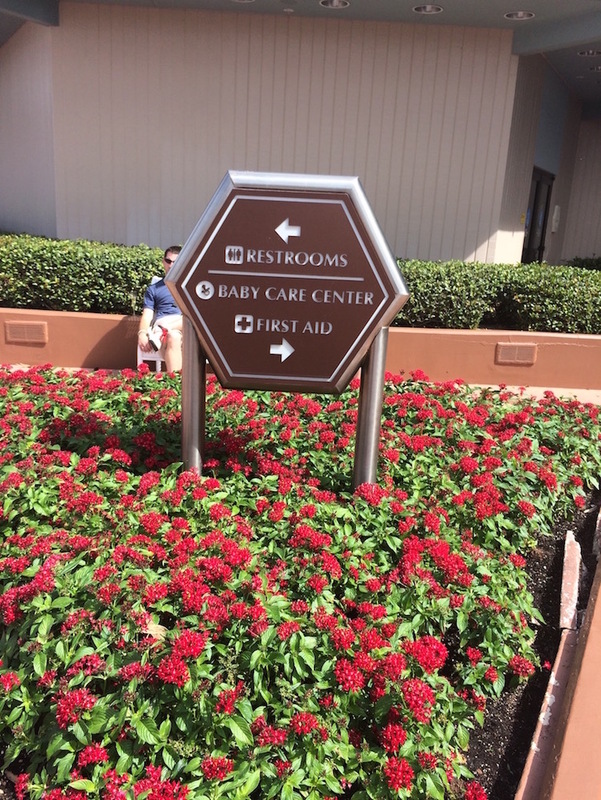 If you’re feeling sick in Disney World head to the Epcot First Aid Station. Photo Credit: Caroline Knowles Gulf Coast TravelingMom. Reedy Creek Emergency Services (RCES) respond to all medical emergencies within the parks. They operate MARC (Medical Assistance Response Carts) that can easily navigate throughout the crowded parks. If you ever experience a medical emergency, alert the closest Cast Member who will signal for MARC. They will assess the situation, begin treatment, and notify an ambulance if necessary. If you do not see a Cast Member and have access to a cell phone, call 9-1-1. 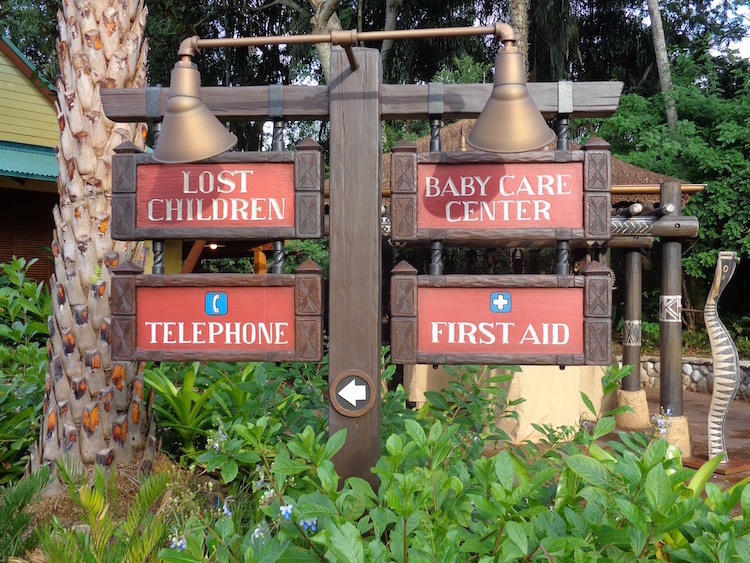 TravelingMom Tip: If you ever have to call 9-1-1 on your cell phone while in Walt Disney World, make sure to specify you are on Disney property. This will help the operators direct the call to RCES. No one ever plans to get sick or have an accident on a Disney vacation. If you are prepared and aware of your options, you are less likely to ruin your trip over what could be just a little setback.